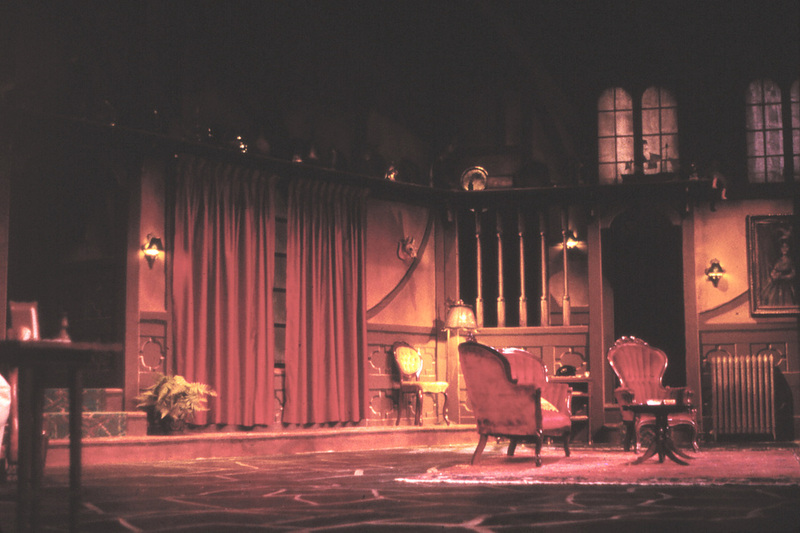 Brigham Young University produced THE MOUSETRAP on the Pardoe Stage. 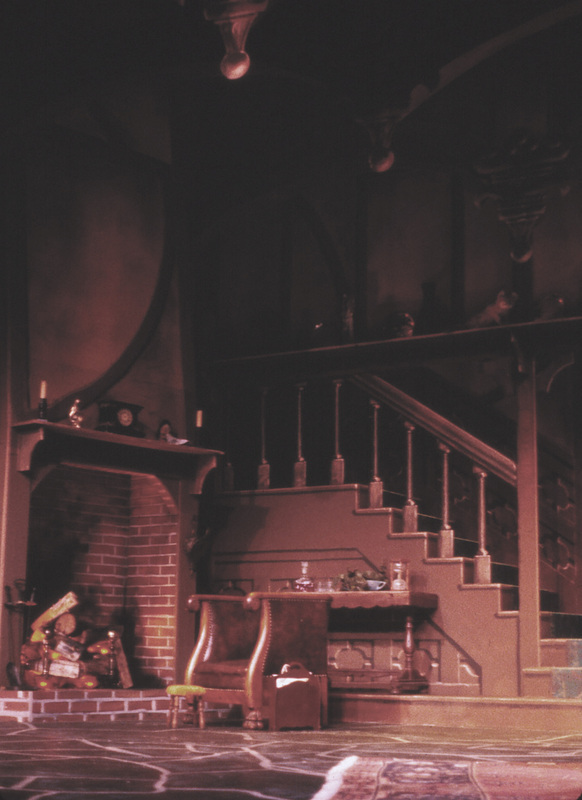 I was the Scenic, Costume and Lighting Designer for the production. 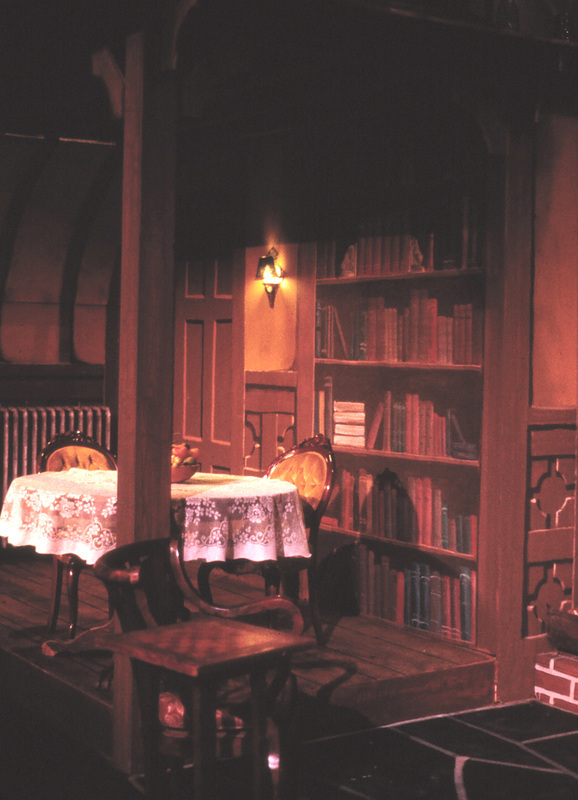 The layout of the set was designed to mask entries and allow some characters to appear partially (like just legs on the stairs, or a hand around the corner above the desk to turn off the light for one of the murders). 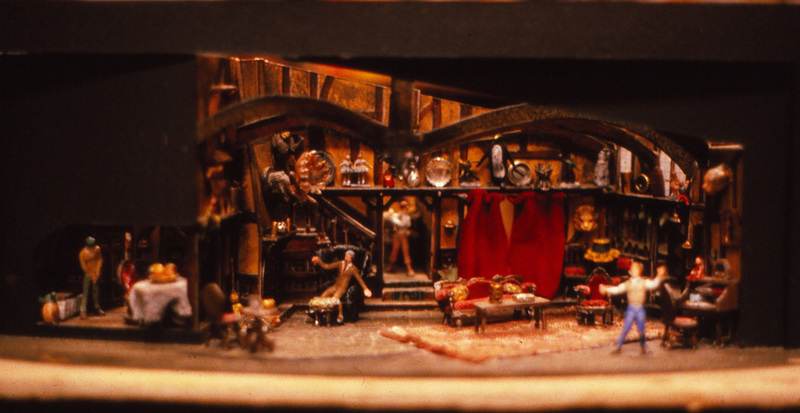 The entire design was to feel like a trap for all the people on stage. 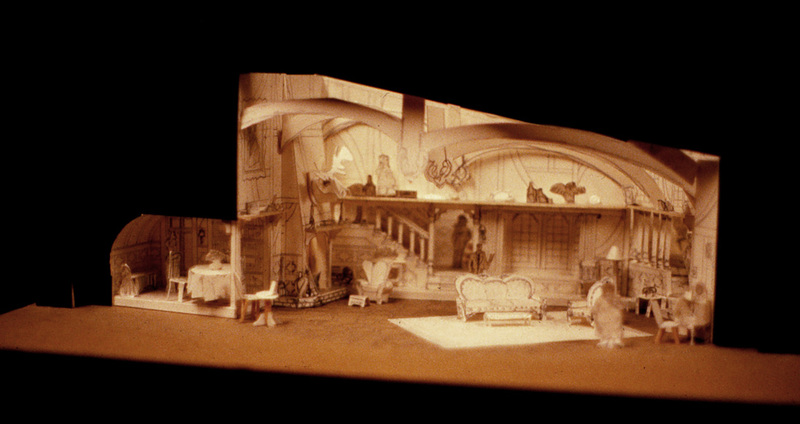 I also used trompe l'oeil painting to scramble real with unreal as part of the illusion.